SAP Cloud Platform powers applications that deliver real-time insights to drive more effective and timely decision making. Dramatically accelerate analytics, business processes, sentiment data processing, and predictive capabilities to run your business in real-time. Work for SAP Cloud Platform? Learning about SAP Cloud Platform? "Love the agility of SAP HANA cloud platform"
SAP HANA cloud platform has a tremendous amount of capability available to support the design, development and deployment of enterprise applications including mobile platform for mobile apps, analytics services and Internet of Things services to deliver innovation rapidly. I think the cost of SAP HANA cloud platform must remain competitive. Pick a clear opportunity for business improvement using SAP HANA cloud platform and deliver a business win, to gain more buy-in on the use of cloud for innovation. We are trying to solve problems in the store operations, logistics and supply chain space. Specifically we are using HCP to mobilise store employees with operations such as stock take and goods receipt. We are also seeking to engage partners better with partner portals for registration and purchase orders. The benefits are tremendous as we improve the productivity of front line staff and improve data quality. These initiatives are helping move to a real time business. The services that are currently offered, infrastructure and the platform support. Ease of use and vendor support.The services that are currently offered, infrastructure and the platform support. Ease of use and vendor support. there are not much content available to get more knowledge on the SAP cloud platform. there are not much content available to get more knowledge on the SAP cloud platform. there are not much content available to get more knowledge on the SAP cloud platform. Try to promote online training and provide free learning resources to help create more awareness on the product. It would be also good to have like monthly or quarterly journals published and distributed to help create more awareness. Running the accelerated solution to support month end close process and actively using SAP HANA cloud platform for reporting and analytics. "We have been using SAP HANA cloud for planning to help with our budget process"
This product has been absolutely amazing. I could not be more excited about this product. We are an early adopter and this has completely changed our budgeting process. No more excel spreadsheets and taking forever to make updates, Everything is so much faster now. Also the use of the software for analytics once all of historical data is uploaded can drive good business decisions. There have been a few growing pains because we were early to use the product. Otherwise this has been fantastic the development team has been phenomenal. If others are struggling with a software for their budgeting process this is the solution. They have an amazing product. We are using SAP as our budgeting software. This product has made budgets season much less stressful. Another benefit is being able to make faster and better informed business decisions on the direction of the company. "Open up to the world! " SAP CP is the one stop shop for opening up to the world. Not just with services like IoT, Translation and Gamification, but with a few clicks you classic on-prem ERP is connected to the cloud. And don't get me started on the API capabilities.. Love it! Partner pricing strategy is obscure. Roadmap with Neo/CF is shady. Lifting products to the cloud. 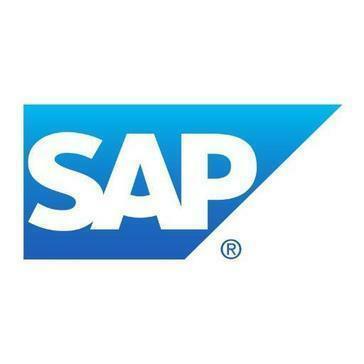 Development of applications around SAP. the cost of the solution. It is quite expensive. "We use SAP HANA Cloud Platform for Budgeting"
The overall power and malleability of data on the HANA Platform is great. They have been very helpful throughout the integration process and have catered to many of our needs. The platform allows for a smarter, more accurate budgeting process. We are on cloud for analytics and because this is a newer product it is frequently changing. But all the changes have been improvements. "Growing fast, interesting licensing model"
licensing model. We find ourselves disadvantaged and moving to Microsoft Azure and other cloud SDK's / hosts because if we want to try/prototype/pilot a service, we have to buy an enterprise license, and we skip it so we can move fast. Perhaps unique to our company, but not enabling us to move fast. External users access to apps that pull data real-time from on-premise SAP systems. a lot of new terminology to know, new releases get pushed automatically so i dont know if my current features are always supported. need to have background knowlededge of HANA, architecture, other pieces involved. "Great platform with real potential and too little attention"
SAP Cloud Platform has great extensibility which can virtually realize many complex enterprise system architecture scenarios. Integration with in-house systems are easier with help from services like cloud connector. SAP's promotion of the platform has not picked up the pace to push for change to the cloud based solution. There aren't yet enough SAP Cloud Platform resources to implement large scale projects, and information and resources for industry RDS are limited. Tough business case, large investment, changing paradigm, and worthwhile. "SAP Cloud delivers new user experience"
Great Product - little expensive though. The dependency in terms of upgrade. Security is a reason of concern at times for us. Look. Need a more rich look. The UI compared to other looks to be plain Vanilla. "Its been a open minded for the developer community"
"One Stop Shop for multi application"
3. Easy activation / subscription . 1.Single point access and view of all the run applications , makes it easy to monitor. "SAP Cloud Platform - Best GUI in ERPs"
It has everything you need. Integration, Workflows, IoT, Big Data and is very easy to use. The upgrades that they have can something cause serious problems. "Overview of SAP Cloud Platform"
NOt enough documentation. Your SAP employees are not familiar. It takes forever to get someone that really understands it. Building a Produciton supervisor iOS App. The service is down about 3-4 times a month on average. Does not even come close to the AWS uptime we expect. Need better platform level application logging. e.g., stats of user logins or page navigations in a ui5 app. "Cloud is the present and future"
Sign up process into the cloud platform. We use the webide for fiori development. * We monitor all SAP Cloud Platform reviews to prevent fraudulent reviews and keep review quality high. We do not post reviews by company employees or direct competitors. Validated reviews require the user to submit a screenshot of the product containing their user ID, in order to verify a user is an actual user of the product. Hi there! Are you looking to implement a solution like SAP Cloud Platform?